Introducing our Wonder Serum - My Daily Dose® of Vitamins ABC+ designed to balance and detox for your healthy glow, your perfect night repair that works its magic at night while you sleep. Formulated to balance, fight oxidation and detox your skin, it addresses tired, stressed-out, blemish-prone skin. 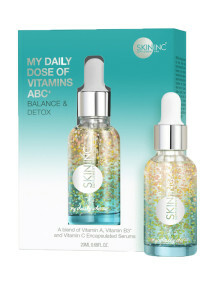 Born from data, My Daily Dose® of Vitamins ABC+ is one of the best-selling and most sought-after serum cocktail that addresses your #skingoals. 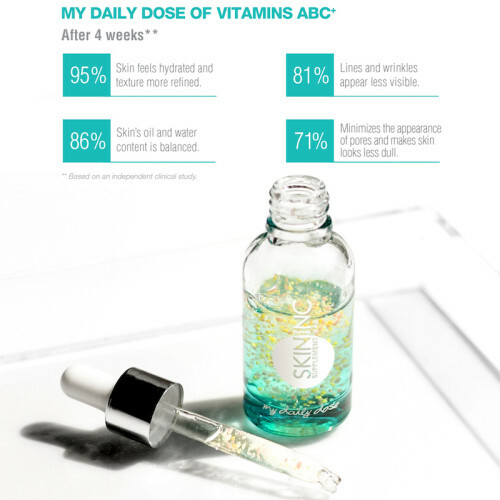 When these active ingredients penetrate deep into your skin cells, they recharge the skin, fight free radicals and detox skin cells bringing to life more resilient, clear, healthy skin. The powerful antioxidant Vitamin C is a powerful anti-oxidant encapsulated in its purest and freshest form to fight free radicals to prevent skin damage, while reducing the appearance of pores and helping to regulate oil production.